Here you will find an updated bio on Donny Osmond. 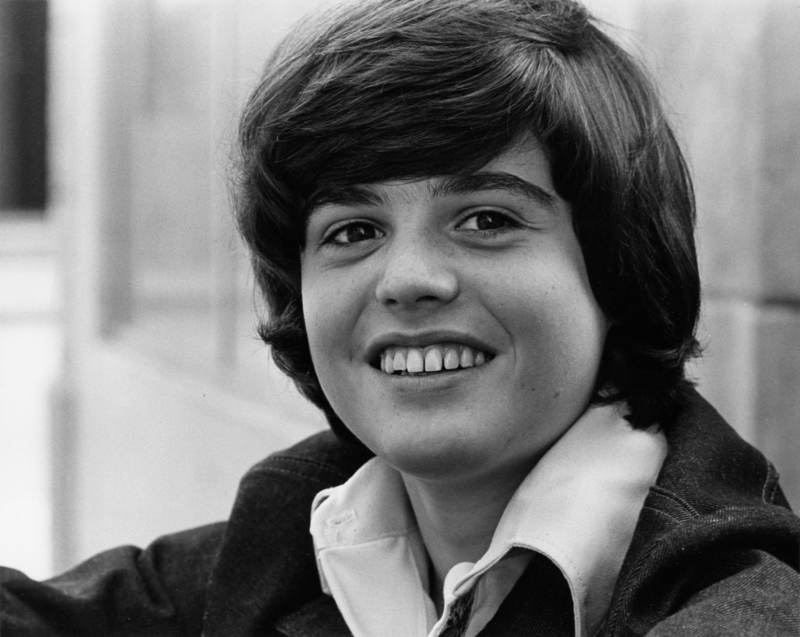 Spanning five decades of entertainment, Donny Osmond has been a singer, actor, triple-threat television series host (talk show, game show, variety show), best-selling author (his autobiography entered the UK bestseller chart at #1), commercial spokesman, motivational speaker, and even a racecar driver. Throughout his illustrious career, Donny has earned 33 gold records; selling over 100 million albums becoming a worldwide music legend. He has made history by celebrating over 5 decades in show business with the release of his 61st album, One Night Only: a live album accompanied by a DVD of his sold-out UK tour in January, 2017. Currently Donny is hard at work on his 62nd album which is set to be all original music for the performer. Today, Donny performs at the Flamingo Las Vegas with his sister, Marie. The show began back in September 2008 and was originally scheduled to run for six weeks. The audience response was so overwhelming that the Flamingo renamed their showroom, “The Donny & Marie Showroom.” The long running show based on the famed Las Vegas Strip is now headed into an unprecedented eleventh year at the Caesar’s owned property. 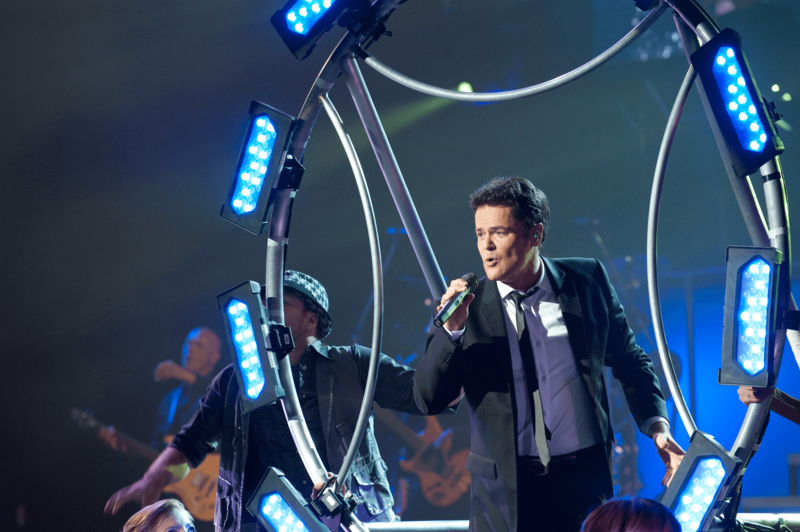 The Donny and Marie show has received many accolades during their run. 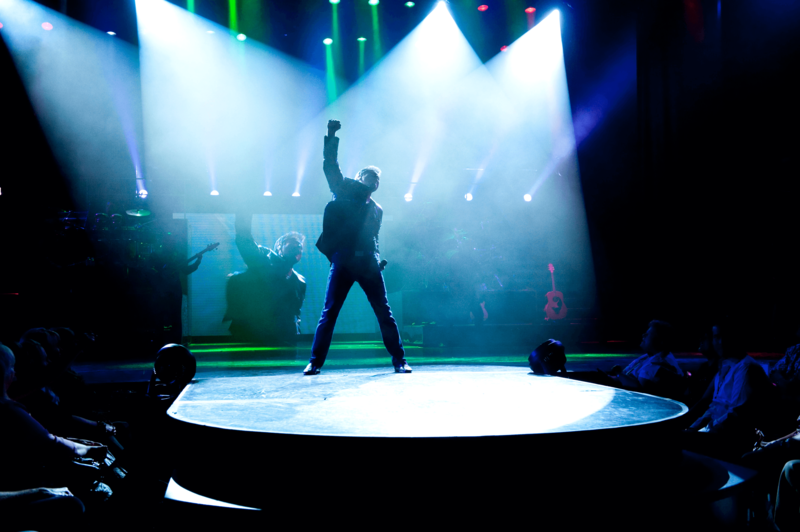 They’ve been awarded “Best Show,” “Best Singer,” “Best Band,” and “Best Dancers” throughout the years according to the Las Vegas Review Journal. Donny has notably entertained a vast array of audiences with his varied career choices. He has starred on Broadway as Gaston in Disney’s Beauty and the Beast; hosted two television series on British network television; and performed at the Concert for Diana, seen worldwide by more than two billion viewers. The critically acclaimed song Captain Li Shang’s “I’ll Make a Man Out of You” from the Disney film “Mulan” was sung by Donny. The song and Donny’s singing of it received accolades from around the globe and ranks as one of the most popular and enduring Disney tunes of all time. Most recently, Donny stunned audiences across America when it was revealed that he was the fan favorite “Peacock” on the hit Fox musical competition show “The Masked Singer.” The show, which launched in January is the most well received and well rated reality show in over ten years of American television. Donny finished the show runner-up to rapper and R&B singer, T-Pain. 2008 marked the 50th year celebration of the Osmond Family in entertainment. The entire family made a historic appearance on Oprah, which set a daytime ratings record and made Oprah’s list of Top Ten Best Celebrity Moments. The family then toured The UK, Australia, and Asia for the first time in 27 years to sell-out crowds. In 2009, Donny was crowned Dancing with the Stars champion for season nine (the show garnered 37 million viewers weekly). One of Donny’s most notable appearances was his starring role as Joseph in Sir Andrew Lloyd Webber’s Joseph and the Amazing Technicolor Dreamcoat, which broke records during its six-year run with more than 2,000 performances in the US and Canada. In 2013 he launched Donny Osmond Home, a home furnishings line that marks the first time he’s ever collaborated with his wife Debbie professionally. It is available on sites like Wayfair, Target, Home Depot, Amazon, RC Willey, to name a few, as well as retail outlets all across North America. In Spring of 2018, Donny wrote a customized video birthday e-card for American Greetings with more than 1,000 names to choose from. Donny does the honors by dancing and singing his way through a fun birthday song customized for whomever you choose. People of all ages have been blown away by the personalized (and hilarious!) wishes in which Donny actually sings their name and age for a truly unique birthday greeting. In August of 2018, Donny collaborated with rapper Lil Yachty for Chef Boyardee’s highly successful, vintage-style commercial. This unlikely pairing proves Donny’s philosophy that sometimes you need to think outside to box to score a lasting impression. Judging from the public’s reactions, Donny and Yachty wrote the perfect hip-hop jingle that expertly positions Chef Boyardee to all ages. Donny’s multi-generational worldwide fan base is reflected in the 100 million plus annual hits on his official website, Donny.com, and social media sites. Donny and Debbie, his wife of 41 years, have five children and ten grandchildren.